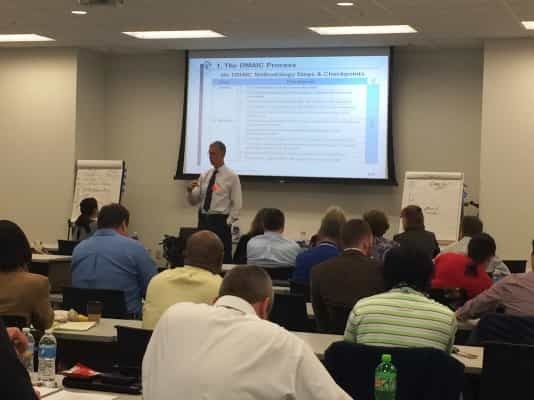 We train more than 150 examiners worldwide who become experts in the internationally-recognized Sterling/Baldrige Criteria for Performance Excellence. This experience is the single best professional development opportunity—being an examiner seamlessly develops critical and systems thinking skills and a strong business acumen based on world-class leadership standards. Why Become a Sterling Examiner? No other learning opportunity provides the breadth and depth of professional and leadership development. We continually provide examiners with value-added skills they bring to their own organizations and to the roles they perform. Florida Sterling is now in its 27th year of providing organizational assessments through our Board of Examiners. We have recently established the Southeast Partnership for Business Excellence with the state of Georgia; and we have expanded globally through Sterling International headquartered in Cairo, Egypt. This volunteer opportunity affords valuable insights as to how high-performing organizations operate. Our Examiners use the Sterling Criteria for Performance Excellence, which consists of Leadership, Strategy, Customers, Measurement, Analysis, and Knowledge Management, Workforce, Operations, and Results to conduct organizational assessments. They work side-by-side with role model leaders -and learn how those leaders have hardwired this leadership system within their organizations to achieve their most critical strategic goals. If you are interested in being an examiner, we welcome your call, email to the Sterling office or click: New Examiner Training Registration. Sterling is a respected community of professionals, as well as a family of committed leaders.